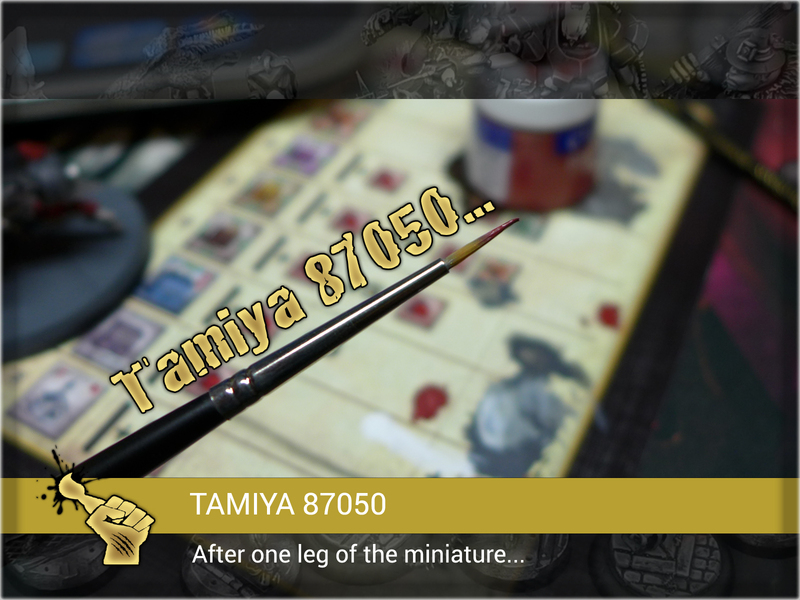 After only one part of the miniature entire brush turned into utter chaos. Hair behaved like if they really ‘wanted’ to disperse. 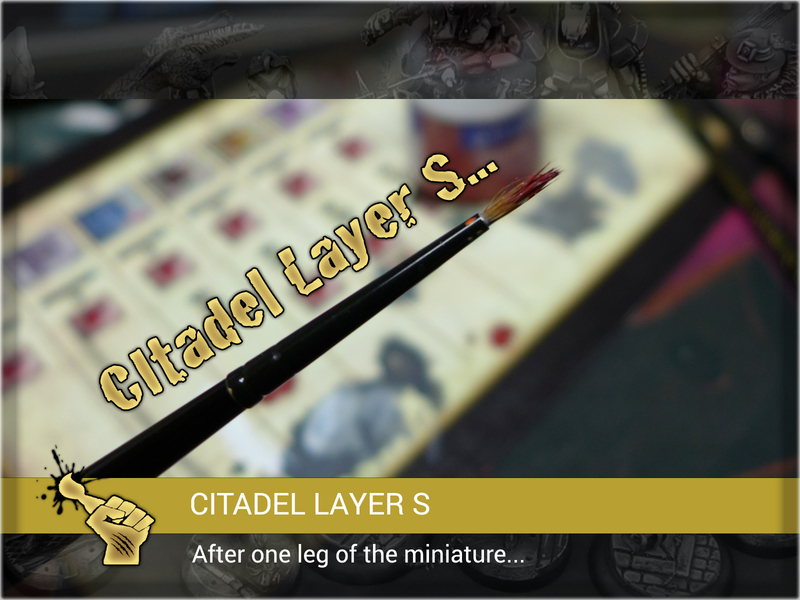 I had a lot of difficulity covering the entire surface without moisting and reposing the brush (which I didn’t for the sake of this article). 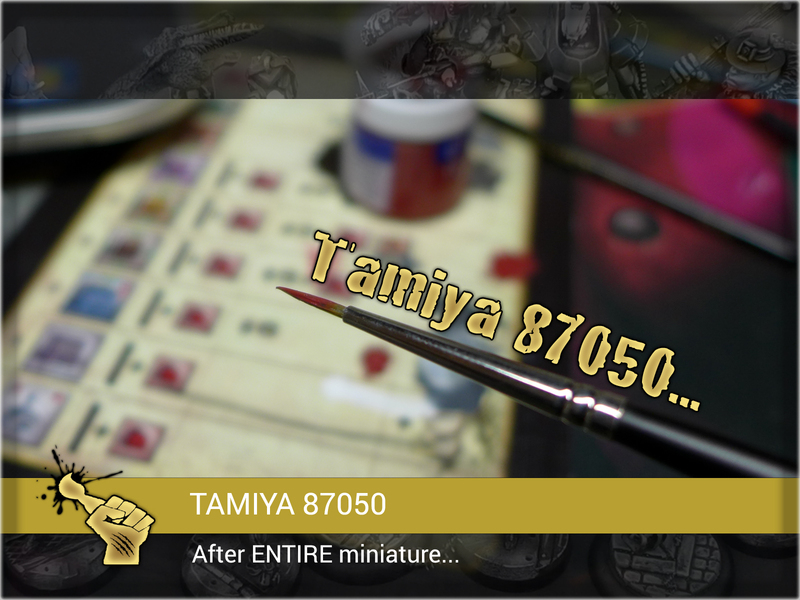 After long battle in which a lot of paint was spilled – Tamiya 87050 emerged a victor! Not only cheaper but much – MUCH – more durable and paint job friendly. The tip worked well throughout the entire process with hair flexible and pose reshaping itself. This kind of brush will surely provide you with comfort. Opposite to that Citadel Layer S failed after merely seconds of usage. It’s tip went berzerk the instant I started painting. I would never recommend this kind of brush for anything except washing or applying glue. I wander why I’ve tolerated this kind of brush’s behaviour till now… well it’s either trash or death in suicide mission for this one now. 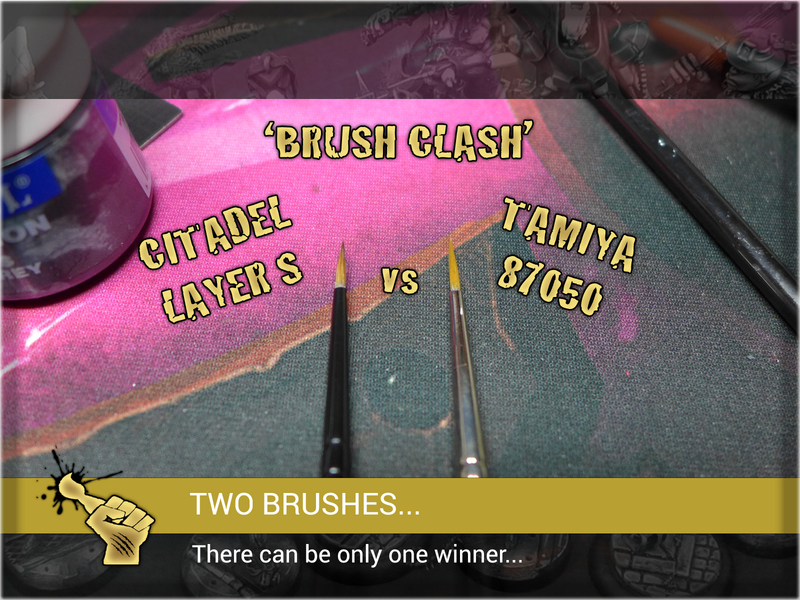 Will never purchase another Games Workshop’s brush again.